A lovely three bed detached bungalow built in the 1970s has become available with John Quinn auctioneers. The house is located just off the Moycullen road at Clooniffe, and is situated on a lovely mature site. The property comprises a sitting room, kitchen, diner, breakfast room, three bedrooms, and bathroom. This home is convenient to both Moycullen and Galway city. The property is convenient also to the university and UHG and all Moycullen's facilities. The property has a BER of D1 on BER cert no 101973477. 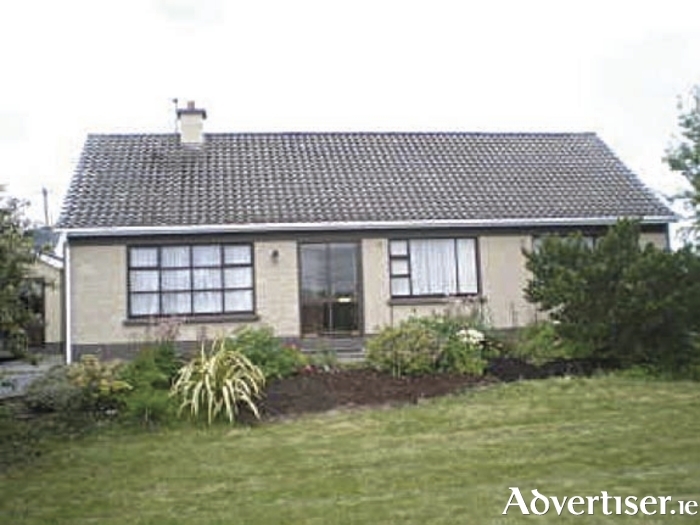 The property, which is just on the market, can be viewed by contacting John Quinn at 091 569174.